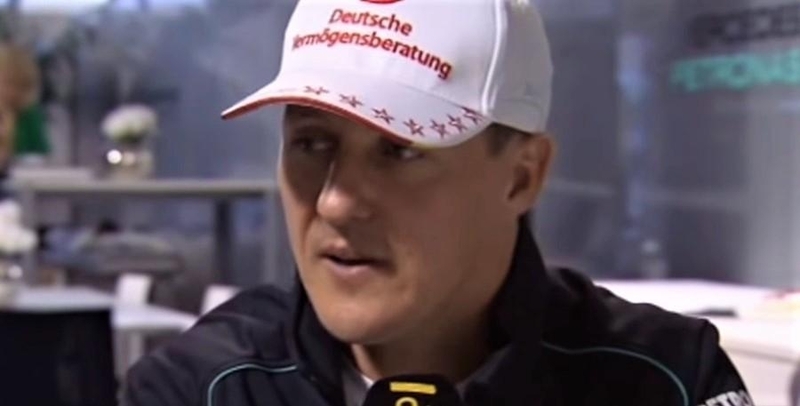 Michael Schumacher is still struggling to recover from the injury he sustained during a skiing trip back in 2013. Following the incident, the family chose to keep his convalescence private as they wanted to shield the racing icon from the noise of the outside world. Corinna, Michael Schumacher’s wife, is among those that are looking after the German legend’s recovery. Although Corinna remained reticent about his husband’s current state, she recently broke her silence in order to thank musician Sascha Herchenbach. The gratitude is due to Herchenback sending his “Born To Fight” single to the family in order to give them hope and strength, RSVPLive reported. "I would like to sincerely thank you for your message and nice gift that will help us through this difficult time,” Corinna said. “It is good to receive so many kind wishes and other well-intentioned words - which is a great support for our family. We all know Michael [Schumacher] is a fighter and will not give up." Racing legend Jean Todt also shared his relationship with the German icon and revealed that there are numerous pictures of the racing star hanging inside his offices and apartment. Todt is the former director of the Ferrari Formula 1 team and has formed a strong bond with Michael Schumacher over the years. What’s more, he’s also among the few who have visited the seven-time crowned champion after his accident half a decade ago. Through the years, contemporaries of Michael Schumacher have expressed their support for the racing legend as most consider him one of the best driver that has graced the grid. Indeed, the German icon is still the only racer to ever won the Formula One World Championship seven times. However, Lewis Hamilton is slowly inching towards this record as the British racer now holds five championships of his own. But even though this is the case, Hamilton said that he’s still looking up to Michael Schumacher given what the man has achieved throughout his career.